M.E.C.’s circularly polarized horn antennas offer frequency coverage of an octave or more with symmetrical E and H-Plane beamwidths. 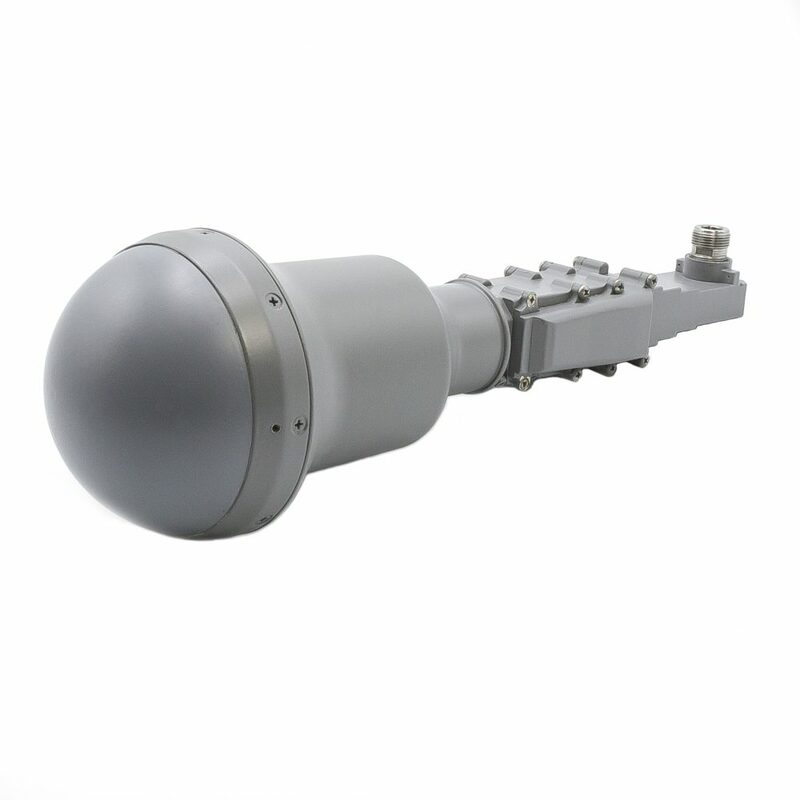 Standard gain units (9 dBi) have a nominal beamwidth of 60° and incorporate a hemispherical fiberglass radome. High gain units (15 dBi) have a conical flare to increase the gain 6 dB, hence the nominal beamwidth is 30°. All types are pressurized to 15 psig. All units offer lower VSWR, high power handling and are suitable for military airborne applications. Narrow band units with improved VSWR and axial ratio can be supplied. Broader bandwidths and other lengths are also available on request. For R390, R391, and R392 double-ridge flange inputs and C390 input types see Linearly Polarized Horn Antenna Data Sheet. SMA connector 50 W max. (1) To specify right-hand or left-hand circular polarization, insert “CR” or “CL” in model number parenthesis.